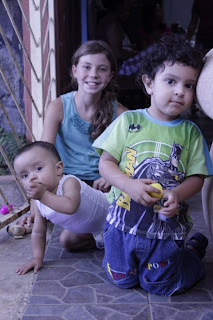 Steve & I spent two weeks in July working at Casa Hogar and the surrounding neighborhood in San Salvador. Our oldest daughter, joined us for the last week. Going on this mission trip brought back great memories of the family mission trips we took when the kids were ages 4-12 years old. Steve will be talking about family mission trips during our Homeschool Super Hero Week at the end of this month. In the meantime, here are a few posts to encourage you in taking your kids on a family mission trip. Question: What kind of family mission trip would you like to take? or have taken? You can leave a comment by clicking here.